New York Painting Services, a full services painting contractor, has been supplying commercial businesses and residential homeowners throughout New York and New Jersey since 2004. We are completely licensed and insured to provide our professional expertise and services to the local communities at affordable rates. Our technicians are trained, experienced, and skilled to perform any of the services we offer and with the aid of high-end products, materials, and equipment exclusively available to licensed professionals, we can ensure maximum results. New York Painting Services is committed to bringing our customers with high moral standards, exceptional work ethics, superior execution, and friendly customer service to consistently deliver a phenomenal experience. In an effort to extend our friendly customer service online to our commercial and residential customers in New York and New Jersey, New York Painting Services has compiled a frequently asked question list to answer your questions conveniently. If you have any further questions, please feel free to contact New York Painting Services directly with no further obligation. Q. How soon do you begin my project? A. New York Painting Services performs services on a first come first serve basis. Once we begin your project we will continually work on your service until it has been completed. Q. Who supervises the service? We have fully trained and knowledgeable crew leaders with field experience and expertise to supervise every service conducted. Customer satisfaction is important to us and we assure a job well done. Q. Can I ask for references before committing to you? Absolutely, our references are available upon request. Our reputation is our greatest asset; with thorough new-hire screening process and detailed background check, you can rest assured our crew is perfect for your project. Q. Are you fully insured, bonded, and licensed? Yes, we have all necessary credentials to provide our authentication and our technicians are included as well. Q. Can New York Painting Services perform additional services besides painting services? We offer a number of selected services to our customers that can get your home or business upgraded and re-mastered in high quality additions; ask for more details. Q. Does a resident of the home have to be on the premises while the work is completed? That is a matter of your preference; as far as New York Painting Services is concerned, you do not have to be home while our crew is hard at work. With our high morals, in depth screening and background checked employees, you can trust in New York Painting Services to work without resident supervision. We are very professional and can make arrangements for your convenience. Q. What are my preparation requirements before work begins? We only ask our customers to move are the small knick-knacks, pictures, and light window treatments, and curtain type items before we commence. Our crew will do all other prep work including moving and protecting furniture and other such duties. Following the completion of your project, we will replace the furniture to their original location. Q. How often is interior paint application recommended? There are a few contributing factors: 1) the quality of the paint used. 2) Daily abuse endured. 3) Presence of smokers in the home. 4) Regular use of fireplace. Though the circumstances surround the time an efficient paint job lasts, with regular care and maintenance your paint should last between 6 and 10 years. Q. If there is existing drywall damage, do I need to get that repaired first? New York Painting Services specialists are more than qualified to perform any minor repairs and replacements to the drywall, ceiling, trim. Baseboards, and molding as needed. 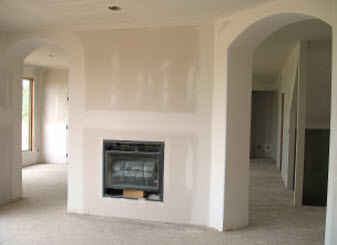 We want the paint to look crisp and precise, damaged drywall will hinder the outcome. Q. After painting is completed, how long do I need to wait before cleaning windows? Waiting 30-days before allowing any cleaning agents to come in contact with the new paint is recommended. Even though the paint dries in a matter of a few hours the curing process takes longer. Q. Do I get to keep the leftover paint? We leave you with the option to keep any leftover paint for touch ups down the road if needed. Paint will stay fresh in a well-sealed can for many years. Q. What is involved with a paint consultation? 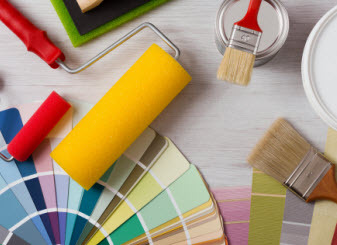 At a consultation service, we discuss the services you want for your home, expenses, process, estimated time, and if needed the color selection, style, and application. The consultation is designed to answer all the questions you may have and help you feel confident in our abilities. 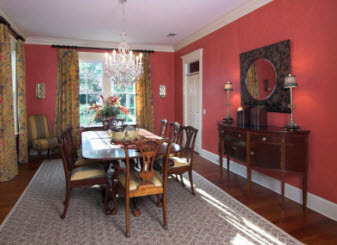 We have painting consultants that can help you find a trendy new style, or optimal ways to incorporate traditional paints and methods. Contact New York Painting Services today to discuss your next project.